Now, what if I told you that May Lindstrom actually made a product like that. The Honey Mud is just a pudding-like cleansing crème that is meant to remove makeup and impurities from the skin, but also make your cleansing routine a time to enjoy. Just like a fine dessert after dinner. Although it is called cleansing silk, (so technically, it would be a cleanser), the Honey Mud can double as face mask. As a cleanser, I apply it on wet skin and spread it all over my face, massaging in circular motion. The consistency is creamy and rich, with a silky feel to it. I prefer to use it in the morning on clean skin or as a second cleanse following makeup removal with the ED4OLO Cleansing Oil. It can be used to remove makeup, but that is just not my preferred way to use it. As a mask, I have definitely used this longer than recommended (oops!). I just like it soooo much as a mask and use it almost daily. The instructions recommend keeping it on the face for a time between ten and twenty minutes, but I have kept it up to 40-50 minutes! It just feels to lovely that I would never take it off. None of that uncomfortable feeling that masks can give you. No dryness, no tightness. 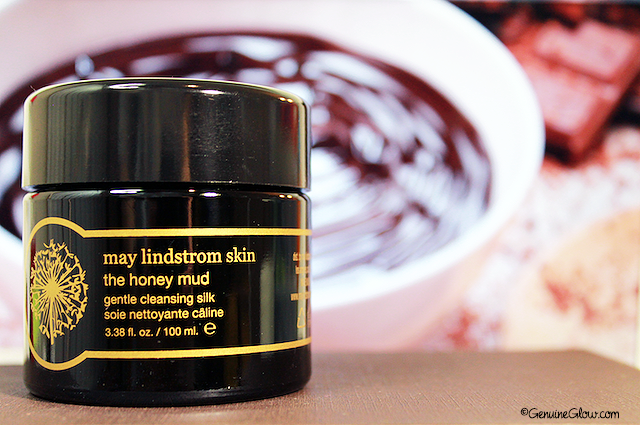 Used as a mask, the Honey Mud calms and soothes sensitive skin. If you like using pure honey for cleansing or as a mask, the Honey Mud feels like upgrading from a Fiat 500 to a Ferrari F430. Raw honey***, white halloysite clay, macadamia integrifolia (macadamia nut oil)*, hamamelis virginiana (witch hazel)*, argentum metallicum (colloidal silver), theobroma cacao (cocoa absolute) oil, citrus sinensis (sweet orange) oil*, cananga odorata (ylang-ylang) oil*, vanilla planifolia (vanilla) co2 total essential oil*, juniperus virginiana (cedarwood) oil*, boswellia carteri (frankincense) oil**, commiphora myrrha (myrrh) oil**. *Certified Organic, **Wild harvested, ***Collected from unsprayed and unfertilized fields of Michigan wildflowers. Gluten-free. Not suitable for vegans (contains honey). Being that this is my first May Lindstrom product, I did not know exactly what to expect, but I am glad to have finally jumped on the ML-enthusiasts bandwagon. Everything from the packaging, to the scent, and the actual product are absolutely stunning. I think it’s time to finally give The Problem Solver a try as well, what do you think? 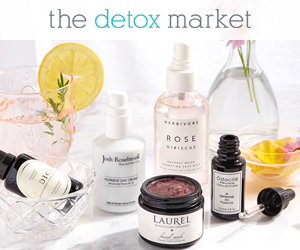 If you are lucky enough to find it at The Detox Market, grab it before it is sold out again, while if you live in Europe you can find it at Cult Beauty. Have you tried any May Lindstrom products? If so, which one is your favorite?